Thank you for visiting the Peoria Arizona real estate blog. Be sure to click on the orange button at the bottom of the left hand column to subscribe to the blog. This will make sure that you receive all the market stats and updates in a timely manner. We will be updating at least every two weeks and providing other information such as public hearings, new businesses openings, road closures, and other things that should be interesting or important for you. 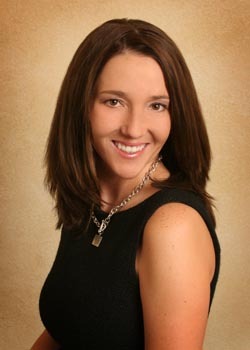 I am an Arizona real estate agent, and a member of the Arizona State Board of Realtors. Thank you for visiting my no registration required website. Continue reading "Arizona Real Estate Agent - Born and Raised Arizona Real Estate Agent"
Continue reading "Contact Bobbi Herman"
Fantastic Deals on New Homes for Sale in Peoria Arizona. Find details on each development including pictures, floor plans, and more. Continue reading "Gorgeous New Homes for Sale in Peoria Arizona - Peoria Arizona New Homes"
Rio Estates and all other Peoria new home developments in one place. Come view our convenient collection of information that you are looking for. Continue reading "Rio Estates By DR Horton"
Independent information about DR Horton for homebuyers. Continue reading "Cabrillo Point voyager Model Brochure"
Continue reading "Cabrillo Point odyssey Model Brochure"
Continue reading "Cabrillo Point explorer Model Brochure"
Continue reading "Cabrillo Point discovery Model Brochure"
Continue reading "Cabrillo Point commander Model Brochure"
Continue reading "Model Home Floor Plans"
Continue reading "Cabrillo Point Armada Model Brochure"
Buying or selling Peoria Arizona real estate? Researching the real estate market? Find the info you are looking for about Peoria AZ real estate. Continue reading "Peoria Arizona Real Estate - Find Info About Peoria AZ Real Estate"
Continue reading "No Such URL Search"
Continue reading "Peoria Arizona real estate"
Fill out a brief form and receive access to the Peoria Arizona new home brochures. Continue reading "Peoria Arizona New Home Brochures"
The homes at Cabrillo Point. These Peoria Arizona new homes are built by Pulte. Continue reading "Cabrillo Point By Pulte Homes"
Independent information about Pulte Homes for homebuyers. Find out why 50 percent of my clients are looking to relocate to Arizona or buy an Arizona vacation home. Continue reading "Relocate to Arizona"